The 1970s saw the successful completion of the Concorde project as the supersonic aircraft entered service with British Airways and Air France. It was a decade that was characterised in the UK by periods of industrial unrest remembered by many for the three-day week which was introduced to conserve electricity during the miners' work to rule. Power generally became a major issue with the oil crisis of 1973. In the US, two defining moments of the decade were the withdrawal of American troops from Vietnam and the resignation of President Nixon over the Watergate scandal. Musical trends of the 70s included glam rock, disco, reggae, funk and punk. 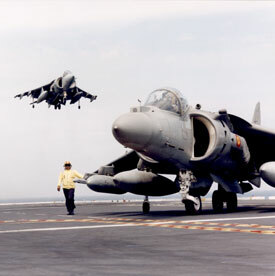 US Marine Corps AV-8A Harrier enters service. 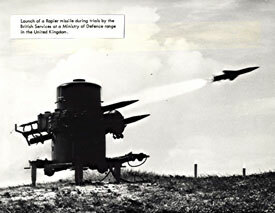 Rapier ground-to-air missile system enters service. Rolls-Royce goes into receivership before being nationalised as Rolls-Royce (1971) Ltd.
RB199 has its first run. Apollo 14 and 15 moon landings. 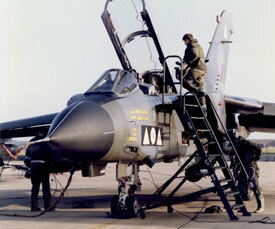 RB199 first flight in Tornado. Don Cameron's 'Gerald Heineken', the world's largest hot air balloon, makes maiden flight at Bristol. British Aircraft Corporation nationalised to become part of British Aerospace with effect from 1978. Trial of Freddie Laker's Skytrain service to New York. Sea Harrier powered by Pegasus enters service with Royal Navy. British Airways carries the 100,000th Concorde passenger. UK government announces acquisition of 20 per cent interest in the Airbus Industrie's A310. Concorde 216 completed (the last Filton Concorde). SeaWolf ship-borne anti-aircraft and anti-missile system introduced into the Royal Navy. 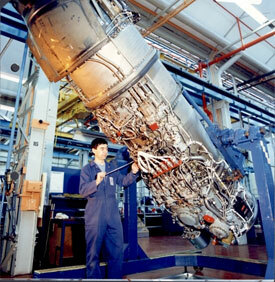 RB199 being assembled (Rolls-Royce plc). RB199-powered Tornado (Rolls-Royce Heritage Trust). Harrier on HMS Invincible (Rolls-Royce plc). 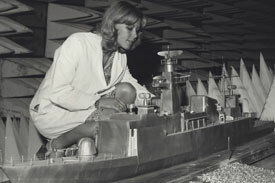 Computer programmer using scale-model to test positioning of corvette's radio antennas. Search the Aviation Archive for images of West of England aircraft in the 1970s.